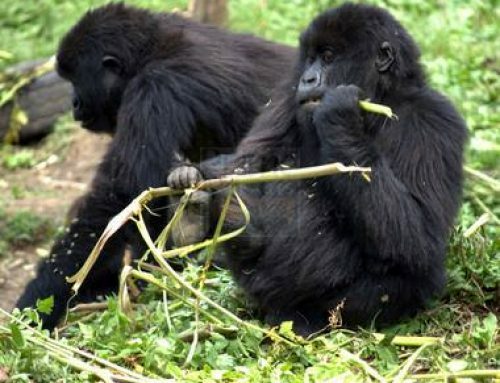 The 14 Days Gorilla Trekking Safari Uganda Rwanda Chimpanzee Tracking Tour Uganda Wildlife Safaris is a mixture of adventure, wildlife viewing, recreation and primate tour among which include Chimpanzees, Mountain gorillas and the Golden Monkeys. 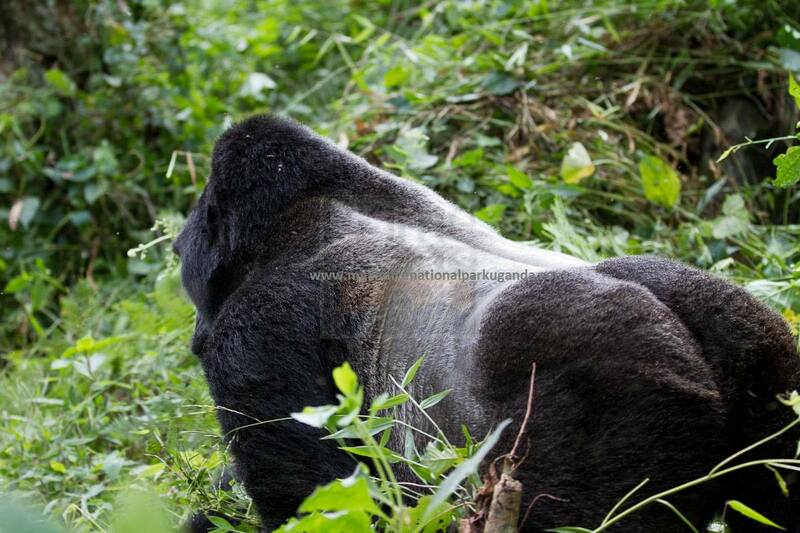 The 14 Days Gorilla Trekking Safari Uganda Rwanda Chimpanzee Tracking Tour Uganda Wildlife Safaris, 14 days Uganda Rwanda gorilla trekking safari takes you through Jinja the source of the world’s longest River, the Murchison Falls National Park where the world’s powerful water fall lies, the Kibiro Slat gardens, Fort Portal Crater field, Chimpanzee trekking in Kibale, Bigodi wetland walk, the wild game e and boat encounter in Queen Elizabeth National Park including the tree climbing lions, the sights of Mountain gorillas in Uganda and Rwanda, genocide sites tour and the lake of a thousand Islands – Lake Bunyonyi amidst the magical Kigezi highlands. After your early morning breakfast in your place of stay in Kampala, driver guide will pick you and embark on transfer to Jinja in the Eastern part of Uganda 80km about 1-2 hours’ drive excluding stopovers on the way. The drive to Jinja will take you through small townships of Mukono were you can also find Ssezibwa falls one of the famous Buganda Heritage Sites where many natives flock for blessings, wealth, and fortunes. You will have stopover at Mabira Forest to explore the only forest reserve in Uganda with over 300 bird species as well as some endangered species of over 218 butterflies, monkeys, plants and 312 trees species. Thereafter continue with the drive to Jinja and have your lunch at Sunset Hotel which is a very fantastic place located on the riverside and serving local Ugandan dishes as well as Chinese, Indian and Italian dishes. After lunch, take boat ride to the mighty source of the Nile which is tranquil place, dotted with beautiful tropical pants, palm trees and magnificent eye attracting white roaring water of the mighty Nile. Not only does the boat ride reward you with the views of the fish men throwing their fishing nets, it also draws you were the mighty river starts its wonderful long journey to the Mediterranean Sea in Egypt. Upon reaching the point where the source of the Nile originates, embark on taking wonderful photos for future memories; stand in the Nile while enjoying the views of different bird species including the King Fisher. After that memorable experience, drive to Jinja town for short town tour mainly to view the different Indian styled structures which were used by many Indians before they were evicted by president Idi Amin Dada. Also enjoy the sight of many shops located along the Jinja main road and you can decide to buy Ugandan Crafts in any of the craft shops in Jinja. Thereafter embark on transfer from Jinja to Kampala for dinner and overnight stay. Accommodation: Sheraton Kampala Hotel (Luxury / Upmarket), Humura Resort (Standard/Mid-Range Hotels), Buziga Country Resort (Budget). After your early morning breakfast in your Kampala Lodge, the driver guide will pick you up at 6:00am and embark on the 311kms about 5 hours’ drive on the north western side of Uganda to Murchison Falls National Park. The drive from Kampala will take you through the flat landscapes of Nakasongora with savannah vegetation dotted with long horned Ankole cows. After covering a distance drive of 115km, you will be welcomed to Nakitoma where you will divert from the main route driving 7 kms to Ziwa Rhino Sanctuary. 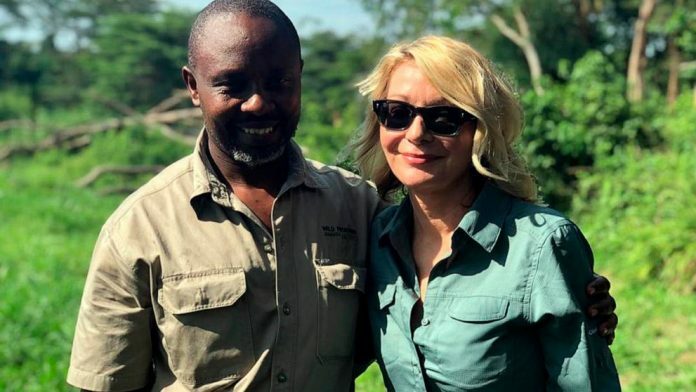 While at the Sanctuary, you will explore the only white Rhinos protected in this part of Uganda .You will also have your delightful Lunch at Kabalega dinner and thereafter advance with the drive to Murchison Falls National park for relaxation, dinner and overnight. Wake-up very early in the morning and drive to the park headquarters for an early morning game drive at 6:30am through the park tracks in search of the elusive wild game. The rolling savannah combretum of Murchison Falls National Park supports a span of delightful wildlife such as the species elephants, giraffes, buffaloes, water buck, Jackson hartebeest, oribis, lions, leopards among others The early morning game drive through the well-organized driving tracks of the delta area, Buligi tracks, Albert and Queen tracks provides golden chance for you to enjoy the views of elusive wild game. After rewarding drive of 3 – 4 hours, you will retire back to the lodge for relaxation, lunch while waiting for an afternoon adventurous boat cruise. After lunch and having rest, you drive to Paraa to catch-up with the afternoon adventurous Lunch Cruise that sets off at 2:30pm and takes 3-4 hours of adventure. Taking boat cruise to the bottom of the Nile will not only reward you with the views of the wild game when they are drinking on the river side, but it also takes you to an area where you can have clear glimpse of wildlife species like Hippos, Nile Crocodiles and a range of water birds such as the endangered species of the Shoebill Stork. After exploring the boat cruise to the bottom of the falls, you will take a hike through narrow path to the top of the world’s most powerful falls. Upon reaching the top, you will enjoy the roaring sounds of the Nile as it crumbles its head on the impermeable rocks that have narrowed its way to less than 8m for centuries past. Thereafter that life time experience, you will retire to your lodge for dinner, memory sharing and overnight. After an early morning breakfast, embark on the highly rewarding Chimpanzee trekking encounter in the primate Capital of the world – the Kibale Forest National Park. The Park is proud of 13 primate species including the world endangered species of the Chimpanzees which have been fully habituated and opened to be visited by tourists. The chimp trekking encounter in the primates Capital starts at Kanyanchu tourism center at 8:00am local time in the morning and the professional UWA Park ranger will lead you throughout the whole fascinating processes of trekking the Chimps in their natural Habitat. The trek exposes you to stunning flora, other primate species including black and white colobus monkey and birds before meeting face to face with the chimps. The Chimpanzees will seduce you in a state of stupefaction as they swing through the branches, make pant hooting calls, play with each other, and imitate your body language along with other features that will make your one full hour with them a life time experience of its own. 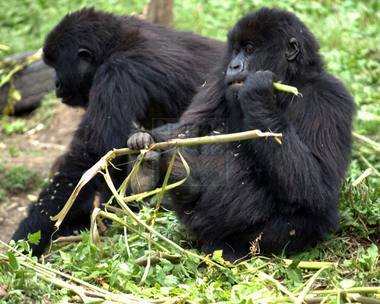 Retreat from the activity which tends to take 2 – 5 hours to embark on the transfer to Bigodi wetland. The Bigodi wetland, lies in close distance to the park thus connecting there is less hectic. 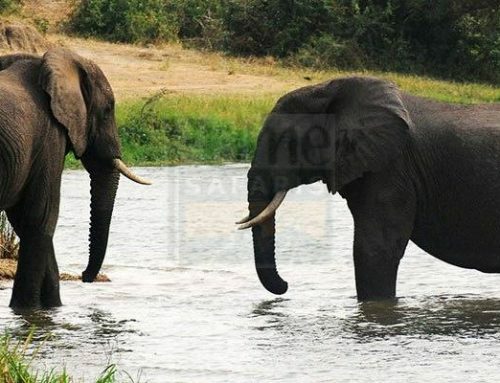 The Bigodi wetland walk exposes you to typical eco –tourism encounter in Uganda. The impressive flora and fauna existing along with the local community is indeed rewarding to encounter. The sights of great blue turaco and the Sitatunga may not be missed. Retreat from the activity and transfer to Kasese via Rwimi arriving in the evening for dinner and overnight. 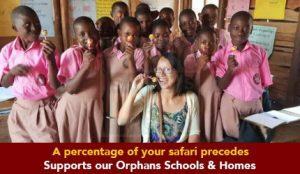 Accommodation: Ihamba Safari Lodge (Upmarket/Standard) or Ruboni Community Camp (Budget/Basic). Embark on the whole day hike to the Rwenzori Mountains known as the legendary mountains of the moon as described by the Greek Geographer Ptolemy in the 150AD. The Rwenzori Mountains tower up to 5,109m above sea level with snowcapped peaks. The whole day hike exposes you to the lower ridges of this mountain exploring the flowing glaciers and mountain flora that have earned the Rwenzoris the world heritage site status. The hike exposes you to the impressive views of the low lying Albertine flats and the towering peaks at a distance. You will have lunch on the Mountain and retreat in the evening around 5:30om to transfer to the lodge for relaxation dinner and overnight. After breakfast, gather at the park headquarters at 8am to embark on the golden monkey tracking, Traverse the volcanic landscapes of Virunga ranges in search of the critically endangered golden Monkeys which are globally endangered and thriving only in the Virunga massif. The golden monkeys tend to dwell in the Bamboo zone and are very impressive to look at with their golden patches at their back. Their playful tactics chatters and their structure makes the trek worth undertaking. 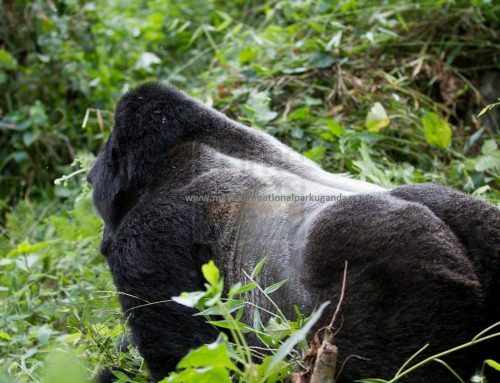 The trek tend to last about 4 hours after which you will return to the starring point to return to lodge for lunch and eventual transfer to Kigali City arriving in the evening for relaxation dinner and overnight. After breakfast, embark on the tour of the Kigali genocide memorial in Gisozi where counts of Rwandese dominantly from the Tutsi ethnicity and moderate Hutus lay in memory following their slain in cold blood in 1994 genocide that hit Rwanda. You will listen to the sorrowful account of genocide and the lasting effect that it bestowed on Rwanda not forgetting the hearing the reconciliatory efforts that the country has employed in order to prevent any tragedy of that sort in the future. From the genocide site, you will proceed to visit the Presidential Palace Museum which was the home of the Rwandan President Juvenal Habyarimana at the time of genocide. The remains of his presidential Jet FALCON 50 which he clashed from also lay in his compound. Continue to visit the Natural History Museum commonly referred to as the Kandt house which houses a range of artifacts featuring the natural environment of Rwanda. Explore the Kigali Markets and eventually do some shopping as you prepare for your departure flight in the evening.